National Library Legislative Day Matters! National Library Legislative Day, a two-day advocacy event championing libraries and library legislation in Washington, D.C., is taking place from May 2-3 this year. The need to let our elected representatives know how imperative is it to have quality services for young children as well as decent pay for those of us who work with young children, has only grown within the past year. Two weeks ago, I watched a newly released video series called “The Raising of America.” It presented updated facts and research regarding the importance of the earliest years in children’s lives as well as historical information regarding childcare in the US. I was surprised to learn that in 1970, Senator Walter Mondale introduced a bill called the Comprehensive Child Development Act (CCDA) that aimed to make the US government responsible for providing “high-quality childcare and early education, home visiting and other services to each and every family that wanted it.” Calling for free, universal childcare in the US, the CCDA sought to promote both social equality and national prosperity. It was passed in Congress with bi-partisan support from both Democrats and Republicans. In order for it to become law, however, it needed to be signed by President Nixon. Pressure was put on him by groups claiming that universal childcare in the US would undercut “personal responsibility” and erode “family values.” Ignoring the fact that a large number of women could only support their families by working, that parents with children would need childcare in order to work outside of the home, and high-quality childcare could be too costly for some families, this government program that could have helped poor and working families was vetoed. The CCDA bill was re-introduced twice in Congress following the 1971 veto. Although millions of people could have benefitted from it, vocal opponents claimed that the CCDA would “relieve parents of their responsibility for child rearing” rather than strengthening the family. Because of politics, the bill was squelched. Lower and middle class working mothers in the US today struggle to find high-quality, affordable childcare. Some families pay more for childcare than they do for rent! The earliest years are the ones that form the social, emotional, and cognitive framework for children; not having adequate childcare can severely limit possibilities for development of important skills and experiences. It is not unusual in public libraries to see young struggling mothers visiting with their children. They seem tired, impatient, and beaten down. Because they cannot afford childcare, they are unwillingly “stuck” with the children, and unable to get a job that will help pay their bills while also building their self-esteem. Although we provide a haven for these families, offer literacy programs, share information, and provide resources, it would be great if we could do more. 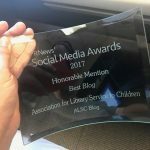 Perhaps we can help by participating in National Library Legislative Day and telling our elected officials about the importance of free public services to families with children. I wonder if legislators realize the full impact of their actions on early childhood education. To whom do they talk to learn about the implications of policy? 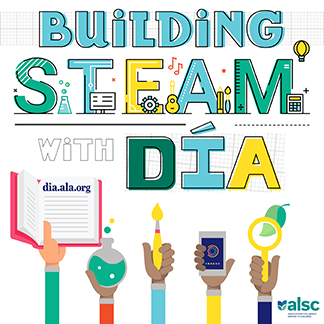 Today’s guest blogger is Betsy Diamant-Cohen, posting on behalf of the ALSC Early Childhood Programs and Services Committee, of which she is a member. Betsy developed the Mother Goose on the Loose early literacy program; she enjoys consulting and presenting training workshops to fellow librarians.